Hood Doberman Pinscher Club is an AKC and DPCA affiliated club for Doberman Pinscher owners in the greater Portland, OR area. 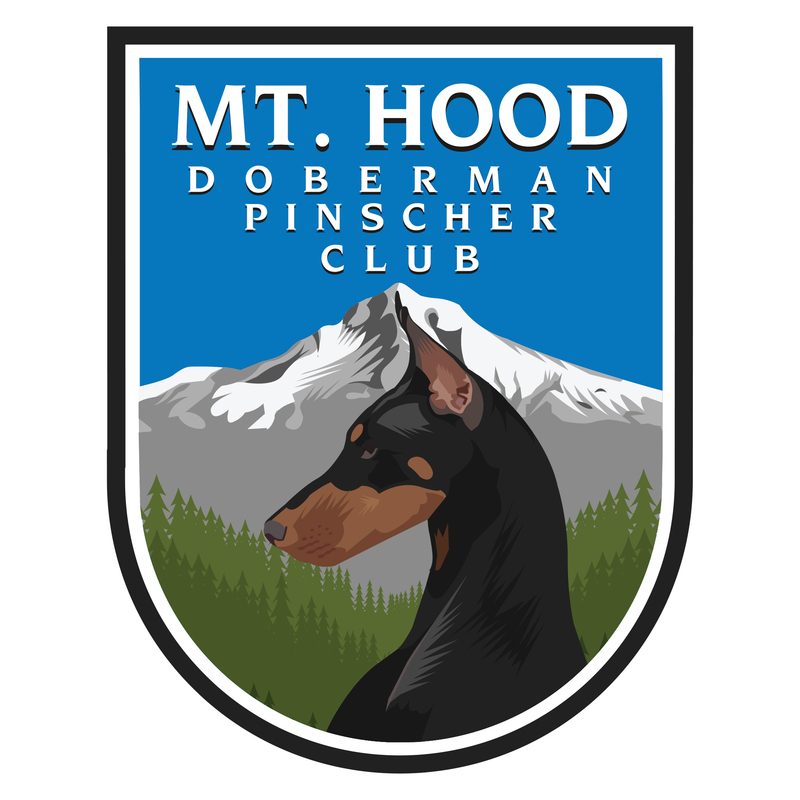 Mt Hood Doberman Pinscher Club encourages our members to actively participate in activities with their dogs in any and all organizations available. Yearly, we recognize accomplishments earned in those endeavors. Click here to view submissions for 2016. In addition to our monthly meetings the Mt. Hood Doberman Pinscher club hosts six AKC Agility Trials, four Conformation Shows, four Specialty Obedience & Rally Trials and five Scent Work Trials each year. A DPCA Working Aptitude Evaluation is hosted by the club every third year. Health clinics are offered twice a year.